“No, not Babba, Babka. 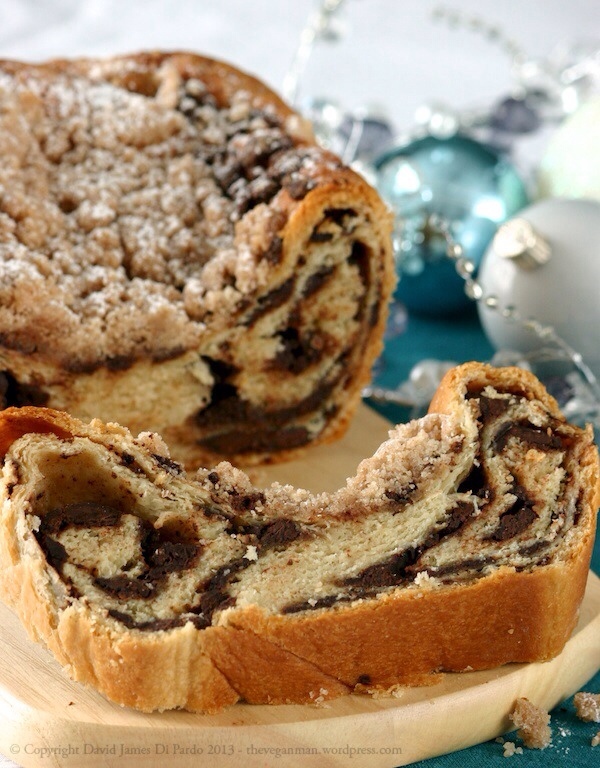 Chocolate Babka.” I explained to my guests as they sat down for our Holiday Brunch. What is Chocolate Babka you ask?? In a word, divine! What? You need more than that? Imagine a cross between buttery brioche and a chocolate pastry all swirled into one. My first encounter with this divine loaf was about 4 years ago when I first made it from my Martha Stewart Baking Handbook. It was quickly devoured by my guests and me, but I hadn’t prepared it since. Although the process is quite simple the thought of creating a suitable vegan version seemed daunting. Well 4 years later, hear it is. Just as buttery and delicious as I remember and vegan to boot! A great addition to any holiday table, i know I’ll be popping these out several times a year. This recipe makes two loaves, which is quite possibly my favorite part, because it means there will be left overs for me to have for breakfast the next morning with a tall latte. To make the dough: In the bowl of a stand mixture fitted with the paddle attachment combine the flour, sugar, yeast, and salt. In a medium sauce pan combine the melted margarine and almond milk and heat to 110°F. Remove from the heat and stir in the vanilla. With the stand mixture on low, slowly add the milk mixture in a stead stream. Increase the speed to medium and allow to mix for 10-15 minutes. The mixture will look wet and rather loose in the beginning but should form into a smooth ball. Once a ball has formed in the bowl, switch to a dough hook and allow to knead for 2-3 minutes adding 1 to 2 tablespoons of additional flour to help the dough release from the sides of the bowl. Transfer the dough to a lightly oiled bowl, turning the dough to coat. Cover loosely with plastic wrap and allow to rise in a warm placed until doubled in volume, approximately 1 1/2 hours. To make the filling: In a medium bowl combine all the ingredients using a fork or pastry blender and set aside. The mixture should have consistency of wet sand. To make the streusel topping: In a medium bowl combine the sugar, flour, cinnamon, and salt and stir to combine. Add in the non-dairy margarine and blend with a pastry cutter or two butter knives cutting the margarine into the dry mixture. The margarine should be well distributed and the mixture should appear crumbly with crumbs the size of peas. To assemble the babka: Lightly grease two standard sized loaf pans and line with parchment paper leaving a few inches to overhang on each of the long sides. 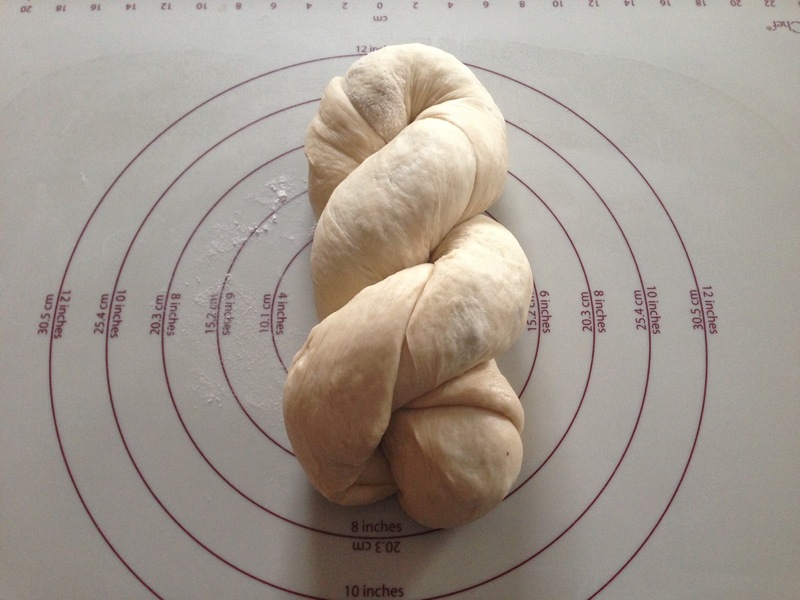 Divide the risen dough in half. On a lightly floured surface roll the dough out into a 20- x 16-inch rectangle. Remove 1/4 cup of the milling mixture and set aside for topping later. 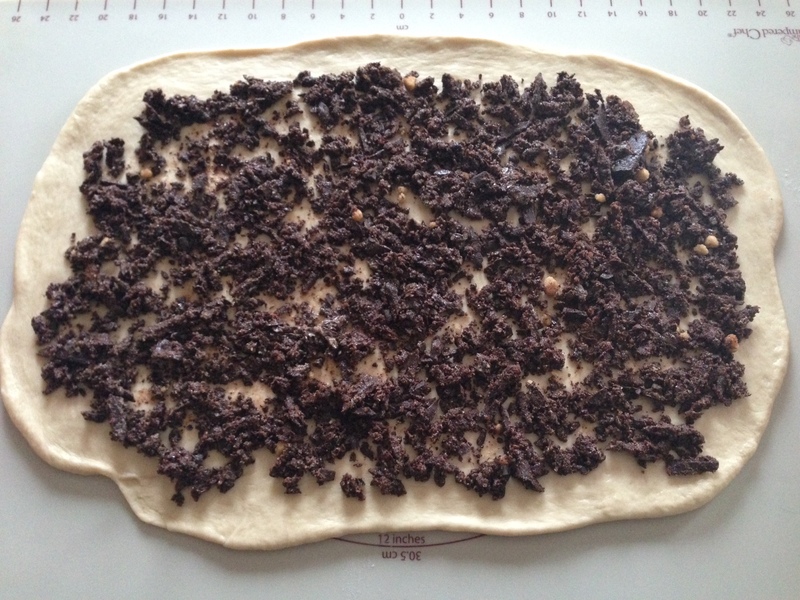 Divide the remaining filling in half and crumble one half of the mixture evenly over the rolled dough leaving a 1/2-inch border. 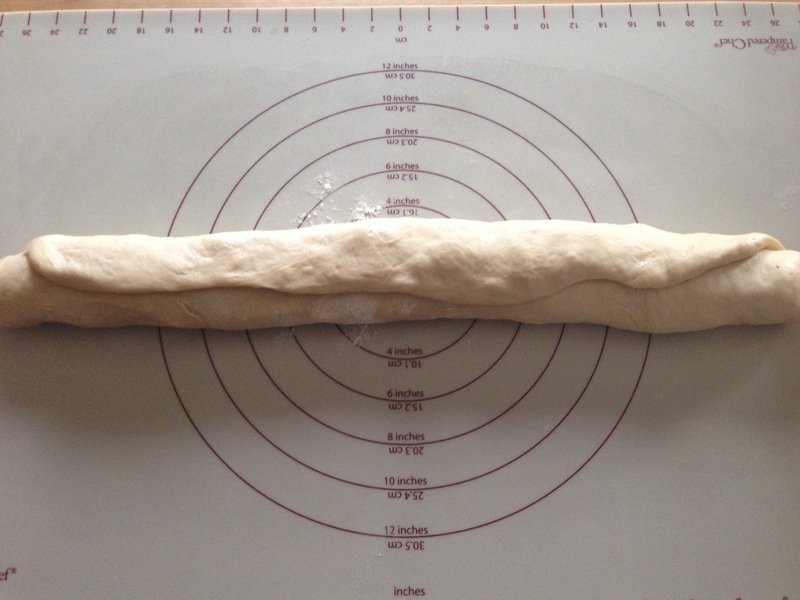 Roll the dough lengthwise into a tight log pinching the ends together to seal. Twist evenly down the length of the folded log a full four to five times. Fold log in half into a horseshoe shape, then cross the right half over the left. Pinch the ends together to form a figure eight, and twist two more times. Fit into a prepared pan and repeat with the remaining dough and filling to create the second loaf. Brush the top of each loaf with non-dairy milk. Divide the remaining 1/4 cup of filling in half and crumble two tablespoons over each loaf. Sprinkle have of the streusel topping over each loaf press gently to adhere. Cover each loaf light with plastic wrap and set to rise for an additional 45 minutes or until the dough has expanded and is pillowy. Once the babka has risen, preheat the oven to 325°F. Bake loaves rotating halfway through, until golden, about 40 to 45 minutes. 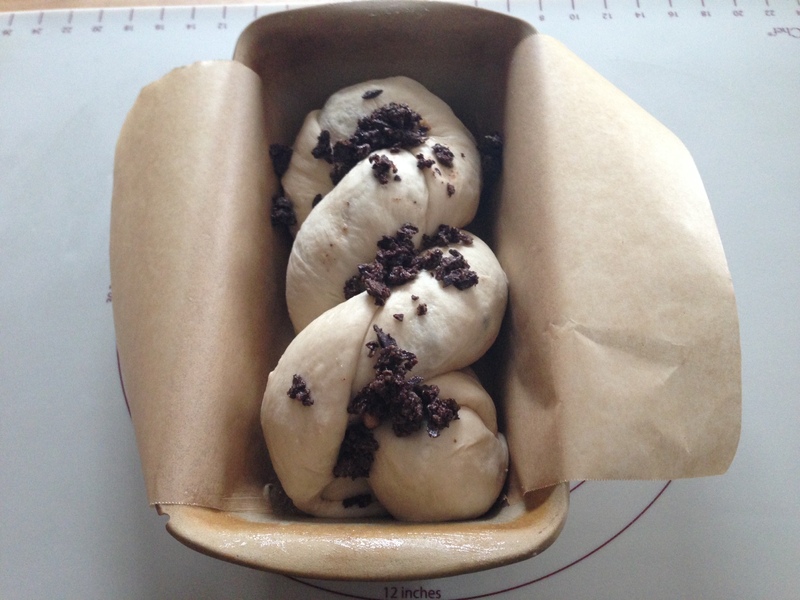 Let the babka cool completely, then left the parchment paper from the pans to unmold. Dust each loaf with confectioners’ sugar, slice and serve. Remaining loaf, if any, can be wrapped in plastic wrap and stored at room temperature for up to 3 days. this looks amazing. i am going to try it ASAP. if it is as easy as it sounds, you have a new devotee!